The word startup implies a new beginning, but what it doesn’t imply is how difficult, and even scary, it might be. Some people try to start their businesses based on very safe ideas and still fail. Meanwhile, some risk everything they have over an extravagant selling proposition and manage to hit the nail on the head. We talked to Joel Perrenoud, founder of Diviac, a startup we supported from day one. 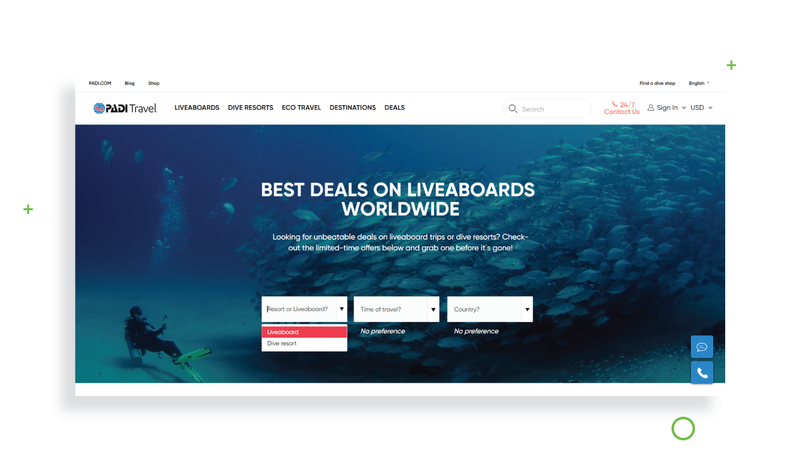 Later on, Diviac has been acquired by PADI Travel to become the leading booking website for scuba divers. We asked Joel about how he came up with the idea, what exactly the company offers, what were his steps to creating a successful startup, and what obstacles he had on his way up. PADI Travel is, in essence, the leading global online travel agency dedicated to scuba divers. We’re sort of the Booking.com, if you wish, of the scuba diving world. Everything we offer is targeted at scuba divers. Pretty much anyone from anywhere can book with us a trip to anywhere in the world. You started as an independent entrepreneur with Diviac. What can you emphasize as the biggest complication in building a startup on your own? Starting a company always sounds pretty easy. But the biggest hurdle is actually taking that first jump, taking the plunge. Many people have got ideas, very few people actually execute them and turn these ideas into a business. Having this sort of market-solution-fit is essential. Making sure that you really have what it takes to build a sustainable business is the first component. After that, what you need to build a successful startup is a team, a great team if possible, and you need funding. Without the necessary funding, you won’t get there. For a startup founded in Switzerland, the difficulty is not as much finding a great team, but being able to afford it. From the start, we worked a lot with a global approach and found the best talent we could anywhere in the world. The funding side was, of course, not as easy in Switzerland, as it would have been in Silicon Valley or in other major capitals for startups. But, nevertheless, it’s not a bad place if you’re looking to build a global business rather than a local one. With Divac, you’ve been through several approaches in development like transforming some existing ideas but ended up with a unique product. In your opinion, what key selling points or technological solutions helped Diviac to be noticed and appreciated both by industry and customers? We started our journey with a totally different business product than we have today. In 2012, when we had our first kick-off with Django Stars, we actually were building a logbook for scuba divers. It was more of a pet-project, something small that kept growing. That earned us a lot of respect in the industry, as we built a very thought-through solution. But the issue was that an app, a logbook-app, is something that people are not willing to pay for in general. There was no way of building a sustainable business out of it. We pivoted a couple of years later into travel, keeping our focus on the same customer segments, on scuba divers, and offering them something that they need. Travel is very much linked to scuba diving, a lot of people travel and scuba dive. A lot of divers don’t dive locally, they need a vacation, so there was a natural fit. It was a 180-turnaround that we did here. We still have the logbook, people still appreciate it, and still thousands of people are joining every month, but in terms of product, our main product is now the travel business. I think what differentiated us from the start is this focus on one specific segment, scuba divers. Understanding their needs, understanding what makes them tick, what they need to know in order to book, or to have a great interaction with our product, and delivering that solution. This is what we’ve successfully managed. Why did you decide to focus on the diving industry? One of the best pieces of advice that I received from a professor at Harvard Business School was: “If you can turn your passion into your business, you wake up every day loving what you do”. And this is exactly what I did. After a number of years in the corporate world, I did a bit of soul searching and figuring out what I really love and what my passions are. I really love travel, I’ve always been a passionate traveler. I love scuba diving, and I love online businesses. You take all three of these, put them together, and you have PADI Travel. You know, this saying has held true – I’ve really enjoyed every moment of the last six years. And that’s a rare privilege. Let’s return to PADI Travel. It’s full of advanced features for end-users. Which ones would you like to emphasize in particular? Our key unique selling proposition has been the focus on a specific target group, scuba divers. It doesn’t matter if they’re Korean, American, or Swiss. They have the same needs and interests, which usually revolve around the ocean, marine life, around what fish you’ve seen and what highlight you’ve been to. Every time two divers speak to each other, it’s like, “What’s the best place you’ve ever been to?” We’ve really taken this to heart and built a platform around it. We have some unique marine life sighting calendars that allow you to see what time of the year is best to see specific marine life in certain countries. Pretty much nobody else has something like this. We’ve even got a wizard that, if you want to see this particular type of marine life, and you want to do it in March, we’ll tell you where to go. These are very special features we have, and we’ll continue making sure that when people come to our website, this is not just a hotel reservation website, this is a dive resort reservation website, and a liveaboard reservation website, that has a strong emphasis on people who are scuba divers and their needs. How did you gather customer insights to come up specifically with these ideas? Customer insights are essential. You need to be listening to your customers all the time, and we do this in two ways. Firstly, we have a hybrid approach, where we’re an online business, but we have a strong focus on customer support and sales support in general. Which means we have travel agents that are available 24/7, 365 days a year. They are talking to customers, feeding their input back into the development process, into the product, which is essential. They are our voice to the market and they understand what people need as well as what people are asking for, and this is an integral part of our feedback loop in our development. The other one, of course, is interviewing customers. We invite people into our offices, but we also do this online. And I think without this focus on customers, no online business can actually succeed. What can you underline in the behavior of your users? And how do you adjust to it in your product? For instance, payment milestones for those who like to plan. It’s essential to understand the potential barriers to booking. Since our product is quite complex and quite expensive sometimes, not everybody can pay for it in one go. We clearly allow our customers to pay in milestones, with a deposit, usually followed by one or two other milestones before the trip. Another example, which will be implemented shortly, is the ability for customers to pay not only by credit card, but using other local means of payment which they might prefer. Credit cards are very common online, but nowadays more and more people expect to be able to pay using methods that might be specific to their country. People tend to switch from one travel service to another depending on offers, user experience and, in a long-term perspective, on how the service keeps them loyal. What do you think is the most important in travel booking services to keep customers? It starts with having a great user experience while you’re online. You need to feel comfortable, you need to feel that information can be easily found, and the booking process is smooth. You need to feel that you’re still supported after the online booking process. Very early we recognized that while being an online business, we’re selling complex travel, which means that the customer service, the human interaction with our customers, is equally important. So, if you can deliver online and offline, and bring the two together in great user experience and a great customer journey, you will keep people for life. Once you delivered what they wanted and the way they wanted, people will book again. Even in the digital era, you can go to Thailand, for instance, and see how travel agents use notebooks instead of going digital. How does PADI Business help change it? The scuba diving industry as a whole is very much still offline. A lot of people who get into the industry do so because they want to escape a digital stressful life in Western countries. They open a dive center, or a dive resort somewhere on a beach, and expect to live a more offline life. On the other hand, nobody can escape customer needs. And people want to be able to book online and plan ahead. And it’s not enough anymore to have a sign in front of your door on the beach saying “Walk in and book something with us”. We have been working closely with our suppliers to see how we can enable them, or how we can help them, get online. We’ve actually built a whole extranet that allows people to self-manage a lot of their listings. Also, PADI, our parent company, is the leading scuba diving certification agency, and more and more of the certifications happen through e-learning. Students as well expect to learn online, learn in advance, then come and finish the certification while at the dive center. After the push we got through e-learning, more and more parts of the business are becoming digital too. And we fit very well into this by bringing in the additional layer of booking your scuba vacations in a digital way as well. We view this is a journey, and we think that the diving industry as a whole is going down this path, but it will take a bit more time until everything is fully automated and digital. You’ve been working in travel industry for many years. What are the main trends on the market you can outline now? We’ve just done a little survey of the trends of 2019, and there are three of the most dominant trends that we’re seeing. For once, younger generations are much more sensitive to sustainability and the environment. We’ve been one of the pioneers in offering eco-travel – or trips with a purpose, trips where, as a diver, you can be part of a citizen science project and participate in something bigger than just diving. Secondly, we’ve seen this also over the years, about 50% of our bookings were from solo travelers. Traveling has become easier, it’s become easier for people to travel by themselves and we enable this as well through our platform. 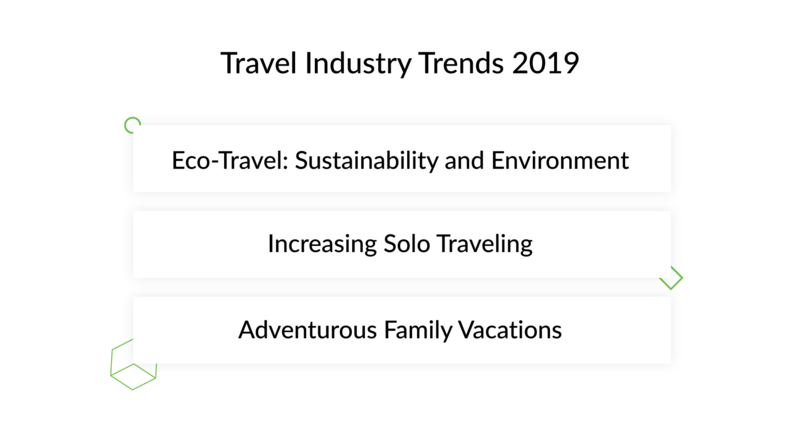 The third big trend is around family vacation being more adventurous. I think the times when families would just go down to the beach and lie on a deckchair for a week are becoming less common. Even with their families, people are looking for adventure, they’re looking to bring their kids into something bigger than just a beach vacation. Through diving and the exploration of the underwater oceans we offer as well. PADI Travel, along with other successful travel services, are now defining what the travel market will look like. Technology is not the only thing you should consider when appealing to people’s leisure and passions. So, what is your big idea? It’s not just about digital. The more complex your product is, the more important human interaction becomes as well. That’s why we’ve built a unique hybrid model where we encourage people to talk to us, while we’re actually delivering on the online space. These two worlds are increasingly complementary, and despite all the advances that we can bring in terms of automation through chatbots and potentially intelligent answering of the questions, the human interaction is coming back into focus. We believe that customers should be able to interact with us the way they want to. We built a platform that’s uniquely delivering on this, and it’s been very successful in doing so. What tips can you share with people who start building complex digital products? The first thing that I would say to people who start building complex digital products is to just take the plunge. As I said, that is the most difficult part of developing a successful startup. And when you do it, keep a relentless focus on your customers. On the solution, and the need or the problem you are solving. If you get that part right, if you get your solution to a real problem right, you will have a business fundamentally. Even as you do so, keep a second thing in mind. Which is, it will always take you twice as long to build and it will always cost twice as much as you think.